Our challenge last week resulted in a certain amount of head-scratching and rummaging amongst long forgotten stash, but some terrific cards emerged and we would like to thank you all for being so inventive. There were also some really amusing ones and lots of us professed to exercising our chuckle muscles! This could take the form of a friend related sentiment... activities which friends share, images of friends- animal or human or both! This monochromatic card features an image from Rubber Stampede stamped in black Versafine ink with a sentiment made from Kaisercraft Grunge Font letters. The scrap of designer paper has been sitting in a drawer for years, so I'm not really sure of its origin except that it is a digi paper. 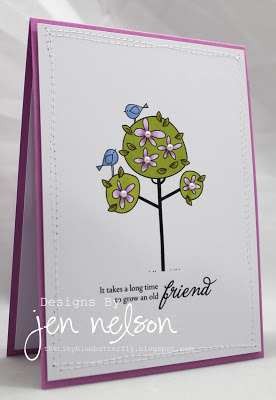 The flowers are from cuttlebug alphabet set of dies. This one is a freebie digi image from The Alley Way Stamps. I simply flipped the image for the second dog and coloured them both with Promarkers. The paper is from Cuddly Buddly and the sentiment from Kaisercraft. I've done some stitching on both of these cards but it's rather tricky to see it. As ever there are a couple more examples on my personal blog. It would be great if you could pop by to see them! For my first card I have used a simple Pink Petticoat image with a perfect sentiment. It's simply coloured with pro-markers random stitched around the edge and mounted on a pink card base. It's finished off with a few pearls. My second card is using an image from Tiddlyinks called "Best Friends" I've coloured in the image with pro-markers and then cut out. 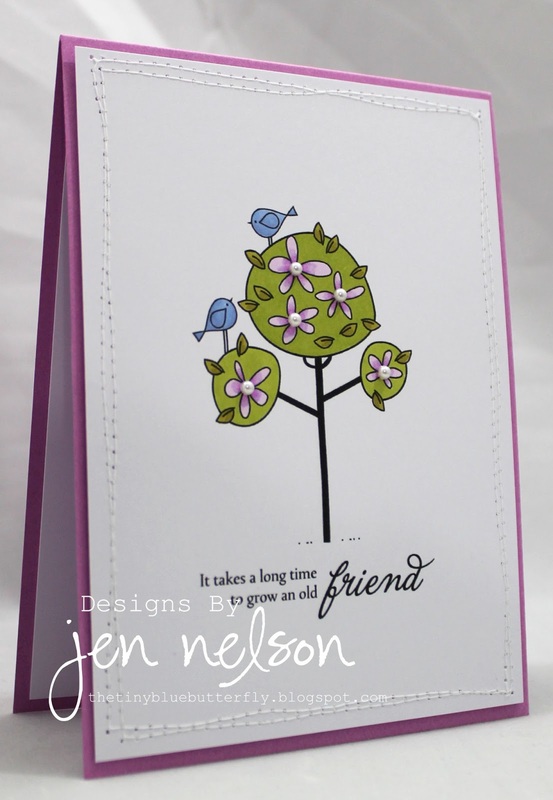 The embossing folder is from Cuttlebug and the sentiment a Kirsty Wiseman from PI. We would like to give a big cheer to all those who were not scared away by last week's tricky challenge, let's hope this week's will be a little easier! If you have bad weather where you are at the moment, do stay warm and safe! what a nice theme and the DT cards are a great inspiration, thanks for this weekly challange! Love your blog, I am a CAS gal! Thanks for the lovely challenge--hope my card is okay! The sentiment on the inside explains it all! HUGS and thanks for beautiful inspiration again this week, gals! Another brilliant challenge ladies, and thank you for the fab. DT inspiration too.